Barton “Bart” Danaker, a cowboy riding the Triangle “B” brand had religious beliefs different from his fellow cowhands, and most others for that matter. 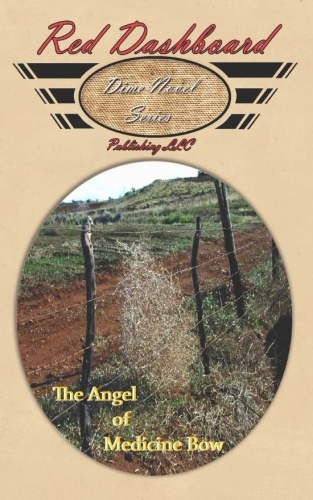 He didn’t believe in the story about Gabriel and the Virgin Mary—being practical he doubted the existence of guardian angels or angles that spoke to people. Bart’s Winchester did all of the guarding required. Robert L. Penven Sr. – at 70 years of age ‘Bob’ wrote this story, and was the patriarch of a rather large family, grand-kids included. He served in the United States Marine Corps from June 1961 to January 1966. Honorably discharged at the time of separation. From 1967 until 1992, and served with the New Jersey State Police as a state trooper. Since the time of retirement Robert taught tennis under the auspices of the United States Professional Registry, and ha been employed as a finished carpenter, and later years an assistant to an airplane mechanic. His hobbies were many, aversions were few. He likes writing stories and poems, and he did submit poetry to his college magazine in 1975. It was published for the benefit of the student body, probably not so much for himself. Now you know more about Robert L. Penven than you probably should. He is survived by his wife, sons, and grandchildren.